Graduated from the Semmelweis Medical University, Budapest in 1998. Worked in the National Institute of Oncology’s Dermatology department for 7 years. In 2004 he completed his qualification as a specialist of Dermatology with an excellent degree. He established the MelanomaMobil mole clinic franchise in 2005. Recently, Dr Bela is the Medical Director of the Hogarth MediSpa in Chiswick, where he runs a facial aesthetic clinic as well. 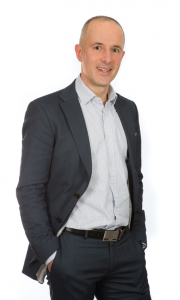 He is a Fillers and botulinum toxin trainer of the Harley Street Elite Academy. Dr Bela is a member of the British College of Aesthetic Medicine.